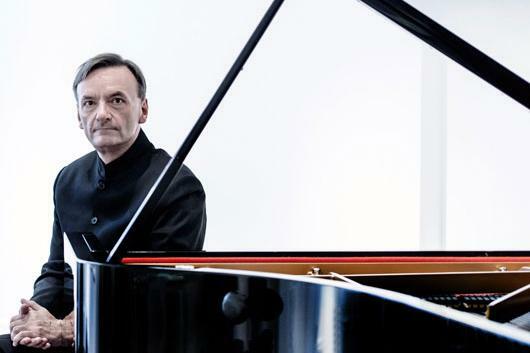 Stephen Hough is a renaissance man. A composer, writer, poet, painter, and MacArthur Fellow, the British-born Hough's reputation long ago moved beyond classical circles, making him an unlikely crossover star. Still, during the last forty years, he has established himself as one of the world's great pianists, with definitive takes on many masterpieces in the repertoire. Vanity Fair praises his "beautifully articulated inner voices, the crystalline quality of lyrical passages, the precision of the pedal." In Durham, Hough heads immediately for the emotional center of his program, playing Debussy's exquisite and fluttering Clair de lune and both books of the composer's ruminative and engrossing Images, including the preludes to Book II. While those works alone would make for a substantial program, Hough also offers Schumann's pensive Fantasie and Beethoven's grand "Appassionata." One of Beethoven's best-known sonatas, it is a dramatic yet highly concentrated piece that culminates in a sweeping climax.